There’s no doubt that economic downturns warrant a shift in strategy. High-risk growth stocks that succeeded during a boom are often traded in for safer fixed income or hard assets during a recession. But it can be difficult for the average investor to make these trades at the right time. So-called “global allocation funds” were created to help solve this problem. Global allocation funds, also known as “go anywhere funds,” can rapidly switch between ​asset classes and geographic regions. Unlike traditional balanced funds, these mutual funds can invest in commodities, futures contracts and swap agreements in addition to stocks and bonds. Ideally, these characteristics help them pursue opportunities and avoid painful downturns. Global allocation funds have a number of pros and cons that investors should weigh carefully before committing any capital. These funds provide investors with a higher risk, higher reward opportunity than traditional balanced funds, but due to their subjective nature, it’s important for investors to do their homework on the investment managers. Greater Potential Returns – Global allocation funds are designed to pursue specific opportunities around the world without being tied to a single asset class or region. As a result, exceptional investment managers can produce exceptional returns compared to traditional index funds that try to match benchmark indexes. Hedging Ability – Global allocation funds can be engaged in hedging strategies, such as holding gold or cash at the right times. As a result, savvy investment managers can reduce risk during a market downturn and help protect your assets. These attributes make these funds a great hedge for a well-rounded portfolio. Riskier Trades – Global allocation funds can purchase riskier alternative asset classes, ranging from commodities to swap contracts. As a result, they may entail more risk than traditional balanced mutual funds that only buy and sell stocks and bonds. Higher Turnover – Global allocation funds tend to have a lot more turnover than traditional balanced mutual funds, which means that they may be less tax efficient. As a result, investors may see higher taxable distributions being sent their way. Rapid Pace – Global allocation funds can quickly move in and out of asset classes and regions, which means their track record may be unstable. As a result, investors should carefully consider the investment manager behind the fund. Little Diversification – Global allocation funds seek to exploit opportunities around the world, which means their holdings may be very concentrated in certain areas. As a result, investors should be aware that these funds may not be diversified. Global allocation funds differ greatly depending on their investment managers. While there are periods where these funds outperform benchmark indexes, the long-term track record for these funds remains questionable on an aggregate level, according to Morningstar data. Individual funds within the category may provide better performance than others though. Evaluating global allocation funds comes down to reading the prospectus or researching the fund online. In particular, investors should pay attention to the management team and its tenure, as well as the asset allocation of the fund at the current time. Websites like Morningstar.com also provide risk vs. category and return vs. category metrics to consider. Global allocation funds are mutual funds that can rapidly switch between asset classes and geographic regions making it possible to generate higher returns at a lower risk. Global allocation fund returns are largely dependent on the funds’ investment manager, so it’s important for investors to carefully research their history and strategy. 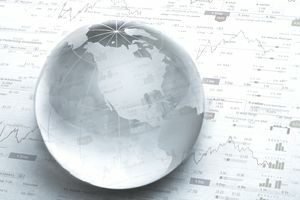 Morningstar.com provides a list of global allocation funds and can be used to quickly research these characteristics and make an informed investment decision.